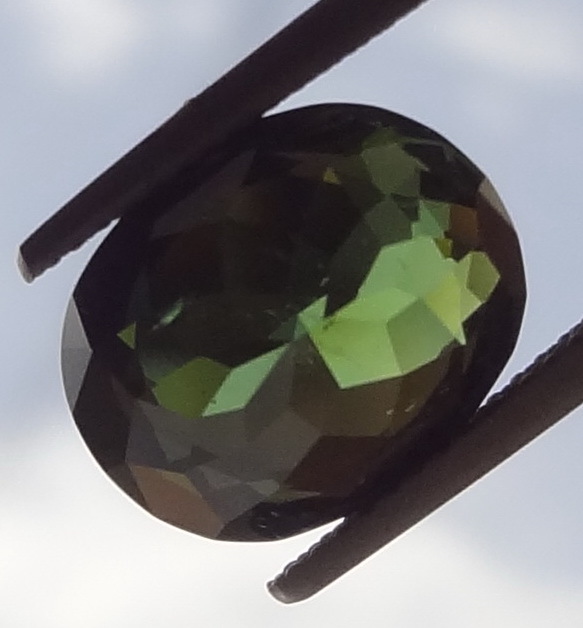 This Green Tourmaline is an excellent piece that has a little flaw, small inner cracks on one side are visible in the video (while the other side is fine, we chose to show the lesser view) but are nearly invisible to the naked eye under normal lighting conditions. 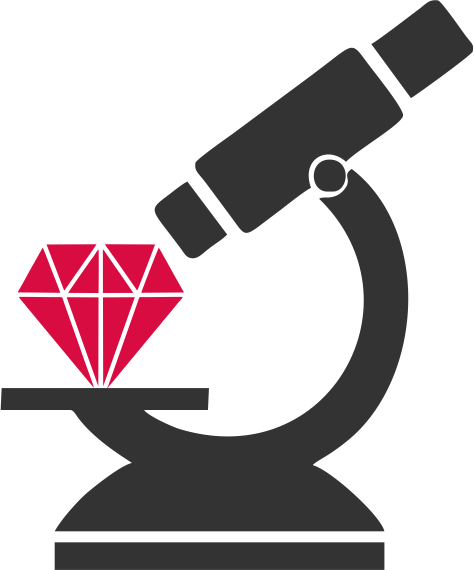 The location of that flaw is also ideally placed and should be hidden by the settings of the jewel. 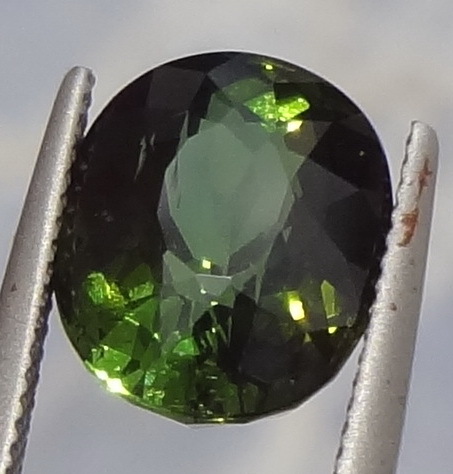 The price reflects the quality and flaws of this green Tourmaline and it can be purchased at 590$ instead of 950$. While watching this video, consider that the view is zoomed significantly and the small cracks visible in the video are not to the naked eye.